Looking for something fun and exciting to do with your family? Then you should join us for a night of fun and games that the whole family can enjoy. “Live Action Clue” is a twist on the popular board game. Everyone attending is a suspect and you have to try to figure out who did it, with what item, and where he/she did it in order to win. Efforts will be rewarded with ice cream sundaes! Pre-registration REQUIRED by Monday, 3/11. 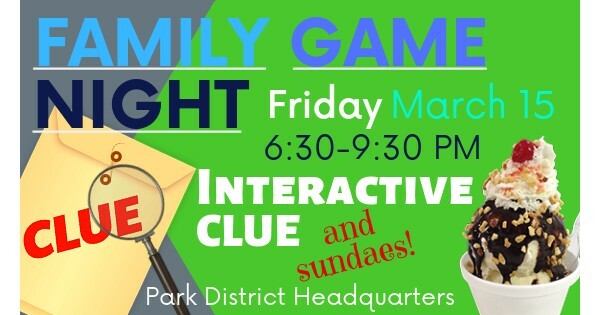 Find more events like "Family Game Night: Interactive Clue & Sundaes"
Natural areas, scenic parks, and quality programs help make our community a special place to live.